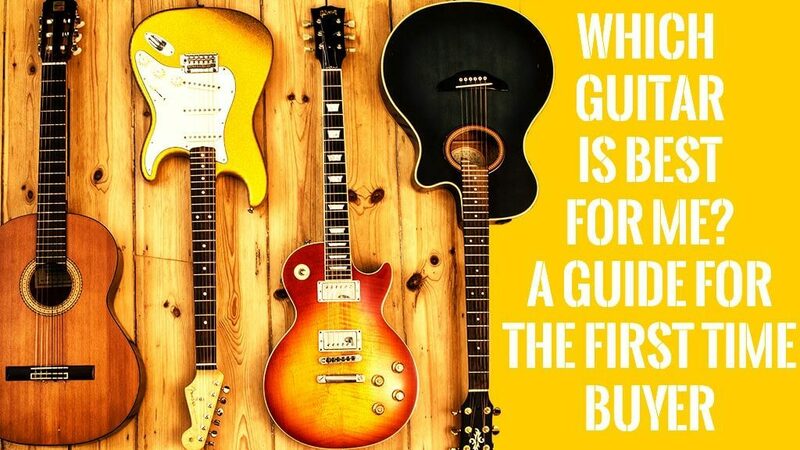 Choosing your first guitar isn’t an easy task. There are so many things involved and so many decisions that have to be taken. Hopefully, at the end of this article, you will have a clearer picture of what you are looking for and what you want to buy. First thing first you need to know which type of music you would like to play. This is crucial when it comes to deciding what to choose among acoustic, classical or electric guitar. The classical guitar produces a softer and often deeper tone because of its strings made of nylon. If you are a big fan of Segovia or Paco de Lucia this guitar is probably your best choice. The acoustic guitar is very similar in terms of shape to the classical guitar. It produces a big and bright tone because of its strings made of steel. So if you want to play acoustic pop/folk/rock and sound like Bob Dylan, Jack Johnson or Damien Rice or you want to strum along to your favourite songs this is the right guitar for you. Also, it might be cheaper than buying an electric guitar because you don't have to worry about buying an amp, cables and effects. The electric guitar produces a huge variety of sounds according to the pickups you have built in, the amplifier and pedal effects you match it to. So if you are into blues, indie rock, hard rock and metal you should go for an electric guitar. Bear in mind that it may be more expensive than buying an acoustic because you must buy extra equipment like an amp, cables and effects. How much are you willing to spend? As you are about to buy your first guitar probably you don't want to spend a fortune on it. Try to keep the budget low but not too low. Let's say around £200 to £300. Don't go lower than that because cheap guitars are often poorly constructed and will have a poor sound quality. And if your guitar doesn't sound good you will give up playing it very easily. On the other hand if you are serious about learning the guitar, it's a good Idea to invest in a good quality instrument. It will be worth it in the end. However, this doesn't mean you have to spend a lot of money. Out there, there are lots of good and not really expensive guitars to chose from. I advise you to use extreme caution when buying a used guitar. If this is your first one, you may want to bring somebody more experienced to test the instrument and make sure that the guitar is in good working conditions. The advantages of buying a new guitar are that you can expect the instrument to perform well and you are assured you are the first owner. You are also covered by a warranty. The downside is that it's more expensive. If you are still up for buying a used one, you might want to check out Gumtree or eBay. You will be surprised to see the high number of deals you can find. You must choose a guitar that fits your body type. If the instrument is too big or too small, it could make your playing uncomfortable. When you sit down with the guitar in a normal playing position, you should be able to reach the soundhole easily, without having to stretch. A guitar too large also will make it difficult for kids to make the proper reach with both right and left hands. I advise anybody having any difficulties playing a normal sized guitar to go for a 3/4 or in some cases even 1/2 sized guitar. Online music stores are always cheaper than the local retailer. In any case, I would buy my guitar from a local retailer for a few good reasons. You are able to check and try what you will buy and in case you have any problems or questions you can deal directly with a person rather than sort things out via email with a stranger. Don't select your guitar based on the popularity of its brand name. Just because a guitar has a famous name it doesn't mean it's a good guitar. You shouldn't go shopping with preconceived notions about which guitar is the best. Every single guitar is different. Don't refuse to look at unknown brands. You might miss out on something special. Avoid guitars that promise to be a tremendous value for a very low price. Select a guitar with a look and colour you enjoy. Having a guitar that appeals to you visually can contribute to your motivation to play and practice. Don't forget to buy a tuner. It's as important as having picks and strings. 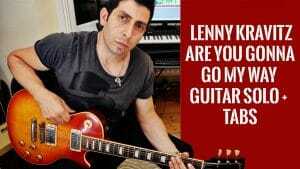 Keeping your guitar tuned to standard pitch is important for several reasons. First, guitars are initially set up and adjusted for a standard pitch to produce the best music tone. Second, standard pitch is the music standard for most instruments. If the guitar is tuned above the standard pitch the excessive tension can break your strings and damage your instrument. Select a guitar you know is fully inspected and set for easy playability, accuracy in tuning, intonation and tone production. The tuning machines should operate smoothly and accurately with the strings wound properly around the tuning post. For acoustic guitars, the wood bridge should be securely glued with no open gaps. The bridge hardware on electric guitars should be even and stable. Electric guitars with bolts on the neck should be stable and secure with no finish cracks where the neck and body join. The frets should be even. The things to check and look for when you choose your first guitar are endless. Do your research on the internet and if you have any friends who play the guitar, talk to them. They might give you some good tips based on their experience. However, if you consider carefully your goals, budget, type of music you like, buying new or used, you'll already have a good starting point for choosing your first guitar.